With Christmas fast approaching, there’s not much time to write about toys this week, so here’s a classic cartoon about toys to keep you going until we get back on track. 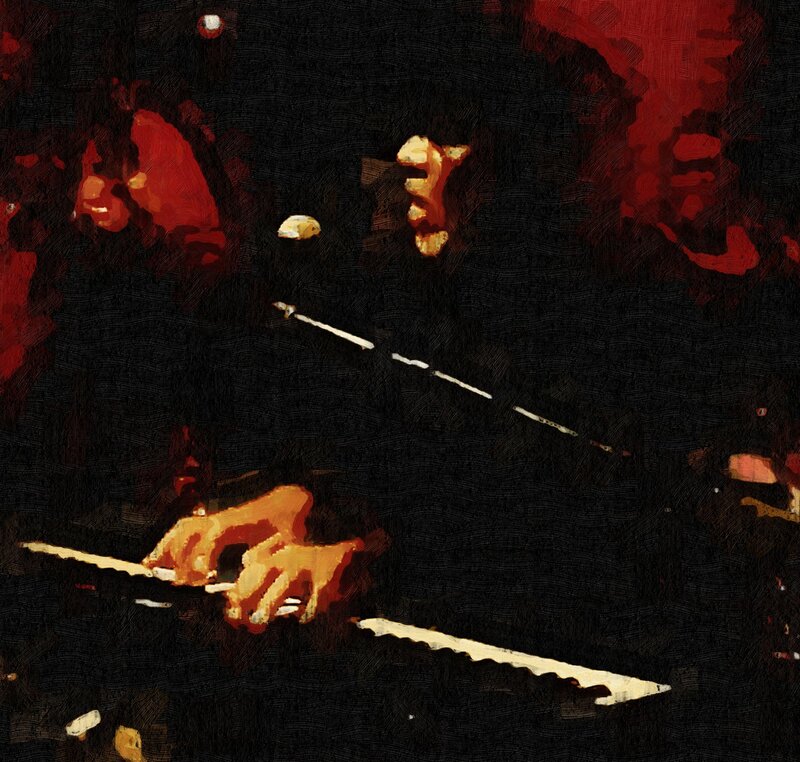 This week’s art is a digital painting of Bob Thompson, inspired by a frame from his performance on Radio Free Charleston 194, coming later today here in PopCult. While the lighting at The Boulevard Tavern was barely existent, shooting video of The Bob Thompson Unit there took on an almost-painted quality after I processed it. It wasn’t much of a leap to reinterpret a shot from the video as a dark, jazzy painting. Click to see it bigger and check back for our Radio Free Charleston Holiday Extravaganza later today. 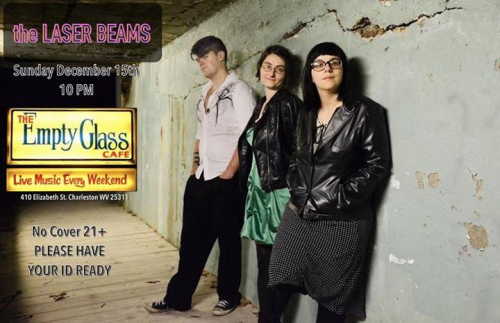 Our friends, The Laser Beams (last seen backing the Wayward Girls School of Burlesque in RFC 192) are playing a cover-free show tonight at 10 PM at The Empty Glass. You should be there! Trace Around Your Heart from brainwrap on Vimeo. 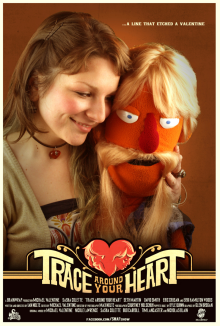 Seth Martin and Friends and Ian Nolte have created a stirring motion picture, sort of “A Star Is Born” with country music…and puppets. Starring the heart felt country legend, Trace Cherokee, and local superstar, Sasha Colette, “Trace Around Your Heart” is funny, sweet and catchy. You can see for yourself. We’re bringing you the whole film today. You can now own “Trace Around Your Heart” in a special DVD/CD package that includes a soundtrack album. It’s only ten bucks! You get the film, which you can see above, and an exclusive CD, all housed in a lovingly hand-crafted folder. There is even a remote, if unlikely, chance that you could get it in time for Christmas! This week on the RFC Flashback, you will see the much-anticipated (at the time) 2009 Christmas episode of Radio Free Charleston. Being a Christmas show, there was only one thing we could call this edition of RFC–”Terry Funk Shirt.” This extra-long episode is packed with music from Molly Means, Joseph Hale, Todd Burge, and Melanie Larch with The Diablo Blues Band. There’s also some classic animation from the British studio Halas and Batchelor, plus a news flash about a visit from Saint Sputnik. 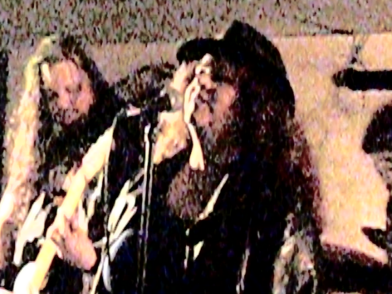 Coincidentally, Joseph and Todd’s songs were recorded at The Boulevard Tavern. We return to the Tavern for this year’s Christmas show, with two festive songs from The Bob Thompson Unit. You can expect RFC 194 in PopCult on Monday. You can read the original production notes here. 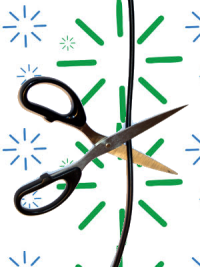 Originally today’s PopCulteer was going to be a long one-sided rant against Suddenlink and their recent “upgrade” of their HD set-top cable boxes. I, along with many other customers, was shocked to see that the recent firmware upgrade eliminated the “VCR timer” function, which is one of the most basic and often-used features of any cable or satellite device. That’s the feature that allows you to program your cable box to change channels so that you can record something while you’re not there. Losing it was quite frustrating and being told multiple contradictory stories about whether or not it would return by Suddenlink’s service reps had me worked up something fierce. Once more to the well we go. Our last Gift Guide post this year brings you the most-highly recommended books from the last 12 months of The PopCult Bookshelf. These run the gamut from bios to graphic novels to books about the history of various pop culture thing-a-ma-bobs. You should try to find these locally, but at this late date you might have to resort to the Amazonian option. The Beatles are the most documented rock band in history. 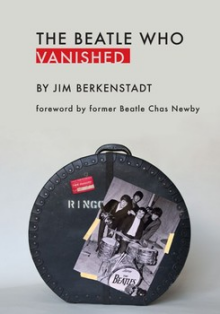 Thousands of books have been written about almost every aspect of the band-their music, the people, the mystique, and anybody even peripherally involved in the universe of The Beatles. It’s rare to find a new book that has anything approaching new material. Read the whole review. So you still don’t have a clue what to give out for Christmas presents, do ya? Today we’re looking at five DVD or Blu Ray picks that you can dole out to the unsuspecting. This all PopCultury stuff, you know, like the name of the blog says. Amazon links are included, but you might want to try to buy local first. Regular Show has become one of the two titans of Cartoon Network. With instant kid appeal and plenty of material for their parents, and anyone in between, this show about two slackers working in a park is a true gem of surreal testosterone-fueled excess. Giant muscle cars fly down out of the sky, demons and wizards casually stroll by, and universe-threatening cataclysms are pretty much the norm. 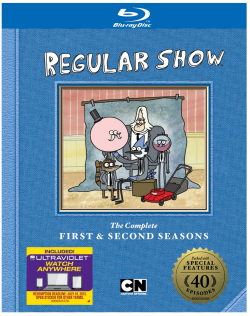 Fans of the show will love Regular Show: the Complete First and Second Seasons set available on Blu-ray (2-discs) and DVD (3-discs). This release includes all 40 episodes from seasons 1 and 2 plus over 2 hours of hilarious bonus content inspired by the creator. The series stars two best friends and park groundskeepers, Mordecai and Rigby, who also happen to be a bluebird and a raccoon. Their attempts to escape their everyday boredom take them to fantastical extremes. After you get this set, punch in the old Super Nintendo unlimted lives code to uncover a hidden film. See “The Life and Adventures of Santa Claus,” a play by Pat Cook based on the book by L. Frank Baum, at the Alban Arts Center in Saint Albans beginning December 13. Friday and Saturday shows are at 8 PM, Sunday shows start at 2 PM. Call 304-721-8896 to reserve your seats now. It promises to be a most entertaining show and fun for the whole family. 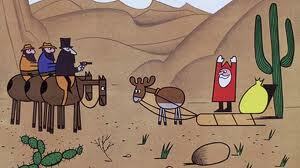 The holiday is rapidly approaching. You need a last-minute gift item and our two-part PopCult Gift Guide didn’t help one bit. Relax, for the next three days we’re bringing you the bonus, last-minute PopCult Extra-Desperate Gift Guide! Mountain Craft Shop Company, located in Proctor, West Virginia, has been producing hand-crafted reproductions of folk toys for nearly fifty years. 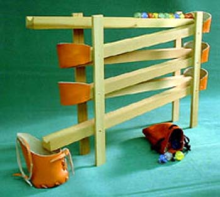 Their products, collectively known as American Folk Toys, are reproductions of toys once made at home and handed down from one generation to another. You can find their toys at the gift shop at Thomas Memorial Hospital in South Charleston, or you can order from their website. If you’re looking for a local angle, or just want something decidedly NOT electronic, this is the way to go.